After you have signed in with your Battle.net account, click on profile to access the profile page. Here you get a dashboard overview of all the information regarding your WoL profile. You will see which characters have been retrieved from your Battle.net account and the guilds they belong to. 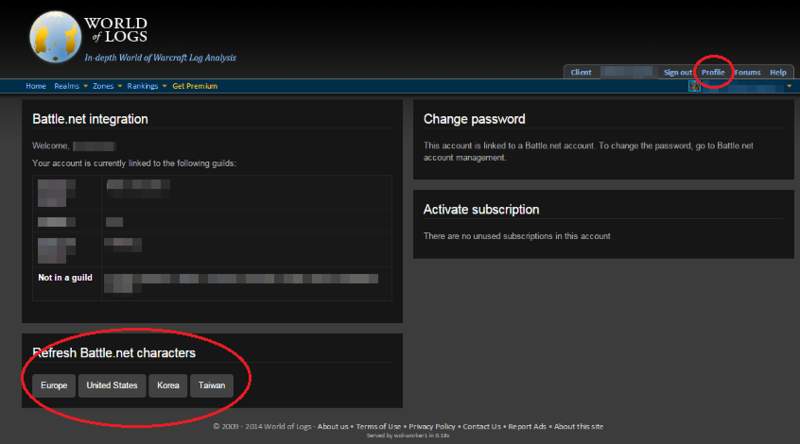 There's also an overview of your active subscription, if you upgraded to premium. You can also refresh your characters from your Battle.net account, if you made changes regarding your characters in WoW.